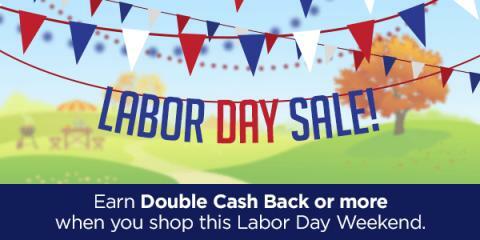 Shop Labor Day Sales with Double Cash Back! Sign up here and reward yourself while scoring those great deals you've been waiting for! Disclosure: This is a sponsored posts containing affiliate links for new signups. I am a longtime user of Swagbucks. All opinions are mine.